More than ever I am convinced that there is contentment in the ordinary, that every moment can be made joyful, or rushed passed and missed, and that there is meaning in the small things, including spending a moment to create and enjoy a tea at Christmas time. 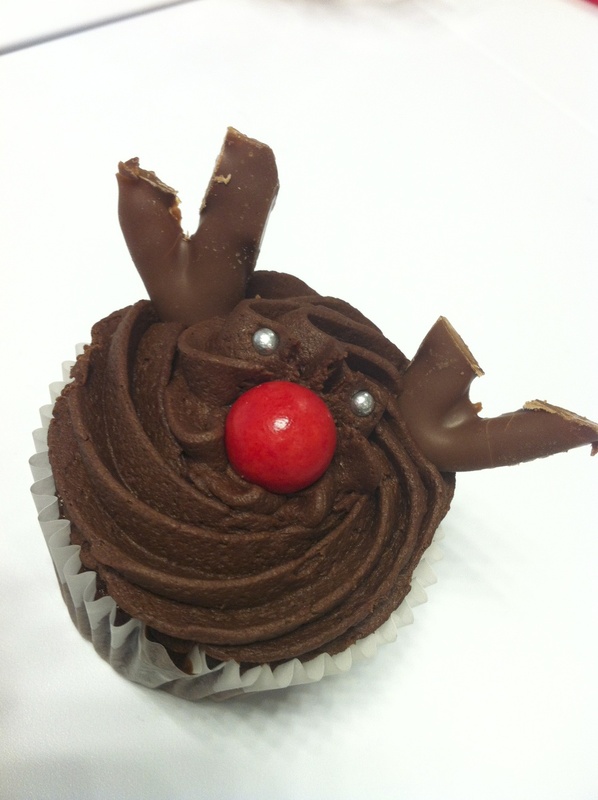 Christmas tea time ideas can be simple or elaborate, expensive or thrifty. The overriding point is that they are to give you space and time to breathe, to relax and to connect, either back with yourself or with others that during the year you have been just “too busy” to see. 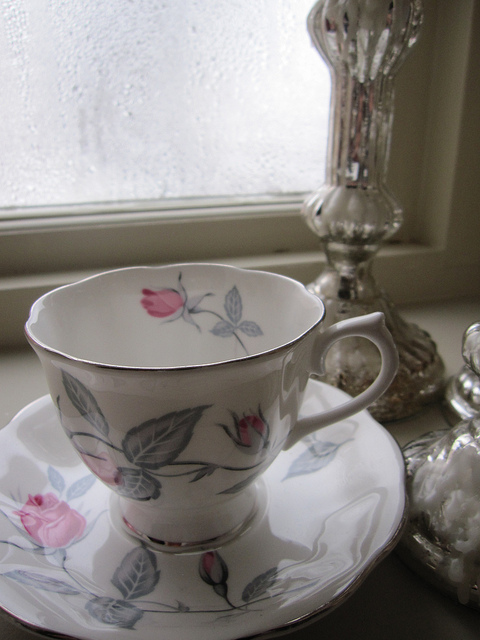 My dears, you will know already I have a bias for vintage china tea cups. My perfect Christmas tea time is served in front of a roaring fire, teaspoons in saucers tinkle like bells, while aromatic candle light flickers. 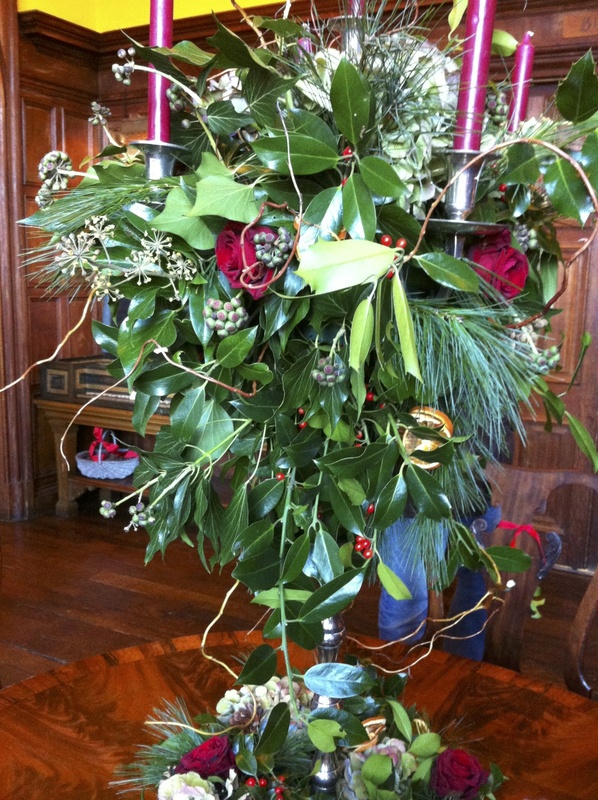 Bringing in foliage from the garden is a quick and lovely way to create instant drama and atmosphere – I love holly and ivy and branches of pine trees with dried oranges and cinnamon framed in big dramatic candle sticks. I adore being able to have a little bit of everything, so my perfect Christmas tea time consists of bite size morsels which avoids me having to make any decisions or choices. Quite honestly, I spend whole days doing this at work, so it is hardly a surprise to want to avoid it at all costs for Christmas tea time. And do I need to say, it is all served on vintage white table linen edged with lace or crotchet. Tartan is another option but I am feeling this tea is a gentle affair. All served with Assam or a nice bold tea blend. It goes without saying that this is leaf tea, as the tea needs both depth and flavour that you can only get from brewing leaves to balance and complement the sweetness of the cake and pastry. Even if you are not particularly religious, quite simply Christmas tea time can create magical moments, a time to laugh and to love. May your Christmas tea be a time that is nurturing and healing and one that gives you, and others, what you wish for sand need at Christmas.